If you don’t have the achy muscles, headache, and extreme fatigue of the flu, consider yourself lucky. If you do have a runny or stuffy nose, sore throat, watery eyes, cough, and low-grade fever, you probably have the most common illness in the world — a cold. Like the flu, a cold is caused by a virus, but it’s less serious. Most people get over the flu in about a week, but it can be life-threatening for certain people, such as babies, the elderly, and those with chronic illnesses. Even though a cold and the flu are quite different, they share some symptoms. They also share some treatments for home-care. Stay fluid. Drinking plenty of liquid is important to keep your body functioning well at any time, but it’s especially important when you have a cold or the flu. If you have a fever, you need extra liquid to keep from dehydrating. It also helps thin secre­tions from your lungs so you can cough them up. Eight to 10 cups of liquid a day should do it. Most people find hot drinks more soothing than cold ones. Gargle. The best and most comforting gargle for your sore throat is warm, salty water. One-half teaspoon stirred into a cup of warm water will make a soothing solution. Another good gargle is strong, brewed tea, which has an astringent, or drying, effect. You can drink it warm or cold. Rest easy. When your body is working to fight off a cold or the flu, it needs plenty of extra rest. Don’t push yourself when you don’t feel like it. If you have the flu, you don’t have much choice — you have to rest. Even if you just have a bad cold, a day off from your normal activities will be good for your health in the long run. And it might protect your friends and co-workers from catching your germs. Investigate echinacea. This interesting herb helps stimulate your body’s own defenses against bacte­ria and viruses. If you take it early in the course of a cold, your illness may be shorter and less severe. Echinacea comes in liquid or tablet form and is available in most stores that sell herbal remedies. Steam it up. Hot, moist air can temporarily clear stuffy nasal passages and make you feel better. Take a hot shower or use a humidifier. Or you can make your own temporary humidifier. Simply boil a pot of fresh water, put it on a table, then lean over the pot with a towel over your head, and breathe deeply. If you add the sweet-smelling herb chamomile to the hot water, you’ll reap even more benefits from the fragrant steam. Chamomile has the ability to help clear clogged sinuses and soothe an irritated throat. Keep your nose clean. A nasal wash, or nasal irri­gation, is an excellent tool for fighting a cold or the flu. It washes bacteria and excess mucus from your sinuses and helps prevent a sinus infection. You’ll need a large rubber syringe that you can buy at your local drugstore. Make a solution of one-half teaspoon of plain (not iodized) salt and a pinch of baking soda mixed with one cup of warm water. Fill the syringe, then place it in one nostril and pinch the nostril closed around it. Squeeze the syringe to move the saline solution through your nose, then blow your nose gently. Most of the salty solution will come out through your mouth, so just rinse with plain water to remove it. Continue until the drainage is clean, then repeat with the other nostril. To keep your nasal syringe from reinfecting you later, be sure to clean it well after every use. Store it on end in a clean glass so any remaining water can drain out, and make sure every family member has his own syringe. Zap it with zinc. 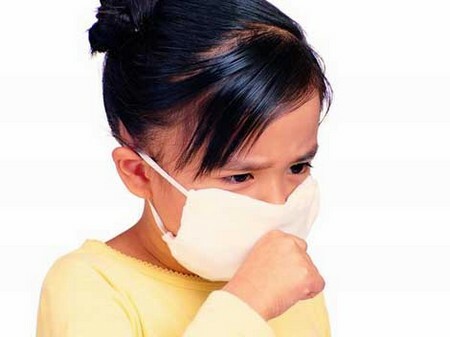 Researchers have found that zinc gluconate may be an effective weapon in the war against colds. In scientific studies, people who used zinc gluconate lozenges while they had a cold got well twice as fast as those who didn’t use them. Zinc lozenges are now available over the counter. You may find they taste bitter, even though they have fruit flavoring added. But if you really want to get over your cold quickly, zinc glu­conate lozenges might be worth a try. Discard the dirties. 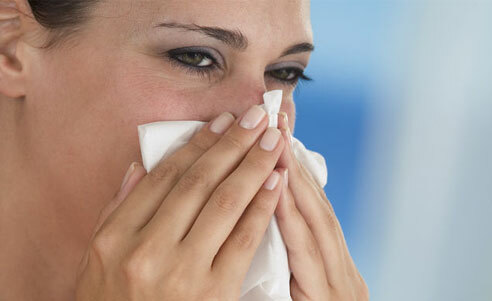 With a cold or flu, you’ll prob­ably blow your nose a lot. Be sure to use dispos­able tissues instead of handkerchiefs. Then you won’t reinfect yourself as you’re getting well, and you’re less likely to infect others. Dispose of dirty tissues carefully in a sealed bag. Soothe your aching back. To comfort your aching back and muscles, try a heating pad or warm compress. You can make a quick compress from a towel soaked in hot water and wrung out.